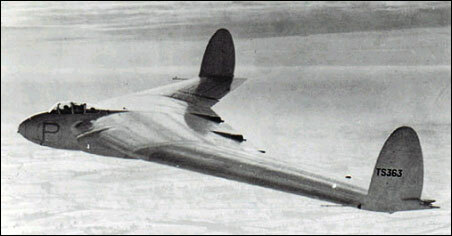 The Armstrong Whitworth A.W.52 was a flying wing type that was also intended to evaluate a configuration for a transport aeroplane with six jet engines. The basic design was validated in the A.W.52G glider, and the first of two A.W.52s with two 5000-lb (2268-kg) thrust Rolls-Royce Nene turbojets flew in November 1947. Although benefits were possible with such aircraft, financial problems finally curtailed the programme in 1950.